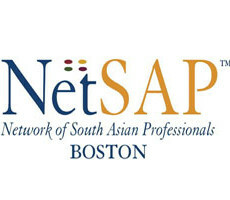 NetSAP Boston’s mission is to serve as the unequivocal voice for the South Asian Diaspora by developing and engaging a cohesive network of professionals to benefit the community. Our mission is to be more than just a networking forum. We also aspire to be the facilitating vehicle used by South Asian professionals to improve and enhance the communities in which we work and live. NetSAP Boston lays the foundation for the best and brightest to forge cohesive relationships to work together for a lifetime. We are not just today’s professionals who are the backbone of NetSAP Boston, but we are also simultaneously emerging to be tomorrow’s leaders in business, politics and civic life. We will continue to interact closely with many of the acquaintances we make through our experiences within the NetSAP Boston organization. NetSAP Boston believes that creating a strong personal bond between our members will strengthen our community across North America, as well as our ties to each other. To that end, NetSAP Boston’s focus continues into the areas of economic growth and security, cultural awareness and preservation, family needs, and promoting education and learning. As an organization, we continuously persevere to help and give back to our local communities by recruiting experts in areas such as health care, banking, education, finance and technology. 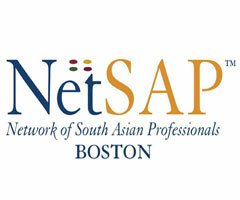 NetSAP Boston believes that our members are undeniably our greatest resource. We strive ardently to work with everyone in our local communities to provide a single platform for progressive professionals to target the many opportunities and challenges that come our way.